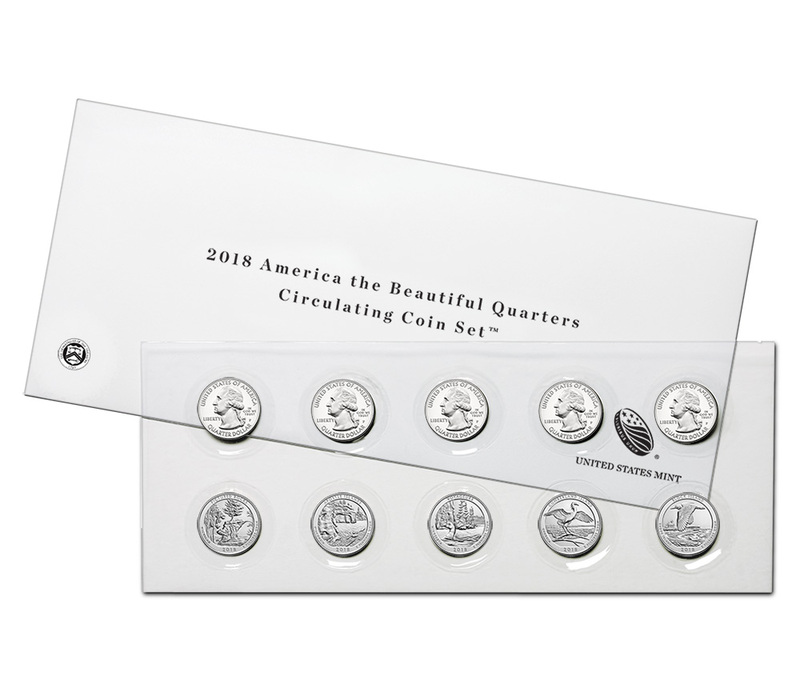 WASHINGTON – The United States Mint (Mint) will begin accepting orders for the 2018 America the Beautiful Quarters Circulating Coin Set™ (product code 18AC) on October 10 at noon Eastern Time (ET). The set is priced at $8.95. The coins are held in a durable plastic card that features a picturesque image and a brief description of each site and coin. The packaging allows the coins to be easily removed and placed in albums or other collecting tools. A Certificate of Authenticity is printed on the back of the card.